Lakou Lapè’s strategy is to prepare and seek to empower local groups to take responsibility for conflict transformation in their neighborhoods. Lakou Lapè will multiply its outreach through these groups and serve as a hub for training, meetings and the dissemination of information while still delivering dialogues and mediation services as needed. To that effect it promotes the development of an independent facilitator group, the Institut pour la Recherche et l’Action pour la Paix (IRAP) which specializes in dialogue facilitation, mediation and negotiation. It also prepares and delivers dialogue processes. Lakou Lapè is working with groups in the neighborhoods of Nan Cocteau, Martissant and Saint Martin / Bel Air. In addition we are training new facilitators to help with our programs and are building a training program that focuses on youth groups. Lakou Lapè is presently delivering a two phase dialogue process in the underprivileged community of Nan Cocteau in the Carrefour area of Port-au-Prince. Nan Cocteau is a community of about 5,000 habitants who suffered greatly through the earthquake. Post-earthquake relief came in the form of food and shelter homes delivered by several organizations but mainly Netherlands based Cordaid. A neighborhood committee called CGAL was formed to handle the relief activities in Nan Cocteau but it was partly ineffective due to internal divisions and conflicts. Furthermore, a conflict analysis of the neighborhood led by Ian White of The Glencree Center for Peace and Reconciliation showed that Nan Cocteau suffered from mostly unorganized opportunistic criminal activity directed at small business people. Gang related activity existed but not at the levels encountered in some other communities. Lakou Lapè designed, in partnership with dialogue facilitator group IRAP, a two phase process whereby the local CGAL committee would go through a internal conflict transformation process and then be empowered in Phase II to take responsibility for leading a process with its community under the supervision and accompaniment of Lakou Lapè and IRAP. As of July 2013 Phase I has been successfully completed and Phase II is starting. 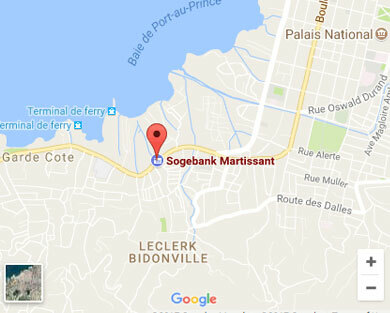 The neighborhood of Martissant in the south of Port-au-Prince is well known for the proliferation of gang related violence. As of July 2013 Lakou Lapè is starting a process that will empower a local community group called KAPAM to become a resource for dialogue and conflict transformation in the neighborhood. A Dialogue Center will be set up and equipped with IT access and video screening capabilities. Local dialogue facilitators will be trained and dialogue processes started with neighborhood actors at the community, civil society and political leadership levels. Trocaire Country Director Ms. Regine Dupuy and Lakou Lape Executive Director Louis Henri Mars meeting with members of KAPAM in Martissant to finalize program plans. Saint Martin and Bel Air are centrally located hot beds of violence whose residents that have often been at odds with each other. Lakou lapè is engaging both neighborhoods trough the Partnership for Peace and Prosperity in Saint Martin (3PSM) following a conflict analysis led by local facilitators Lakou Lapè designed a three stage process that will seek to reconcile elements of both neighborhoods and allow them to work together for peace. On-going development of new dialogue and mediation facilitation capacity is key to the expansion of the peace building endeavor at local community level, civil society and political leadership. 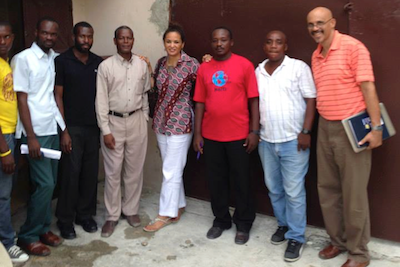 In August 2013 Lakou Lapè organized a one week training course led by a Belfast-based international trainer for both experienced and new Haitian facilitators and mediators. 50% of the Haitian population is under 25 years old. The population is growing at the rate of 2.1% a year. Looking down the road, Lakou Lapè is building a Youth training program that will seek to address the issues of violence in the 12 to 25 year old age group. Gender related violence, gang formation and development, and other areas of interest to youth are the avenues that Lakou Lapè expects to explore through this program.